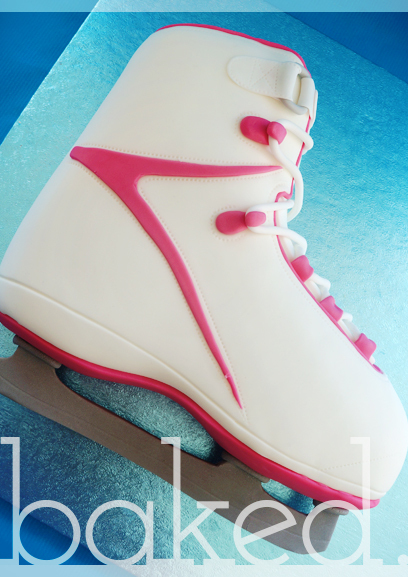 We take our celebration cakes seriously here at Baked! 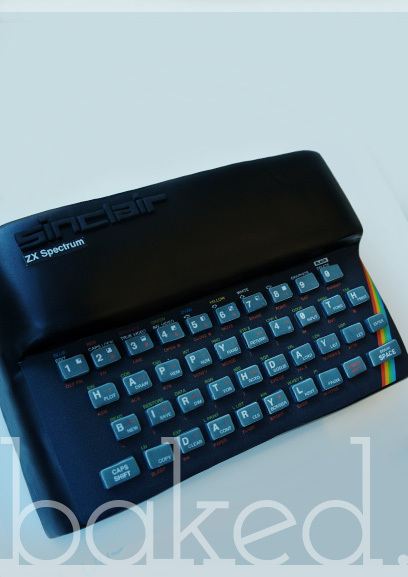 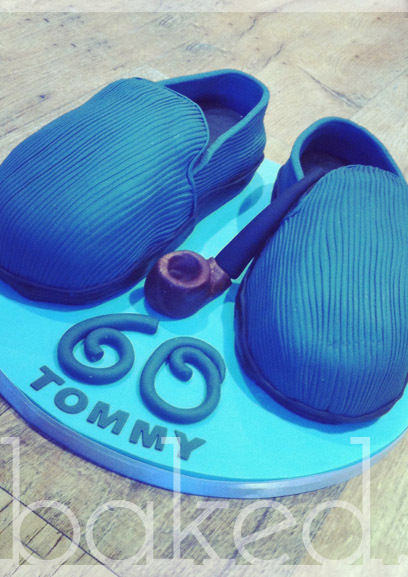 There are some examples of our past creations below. 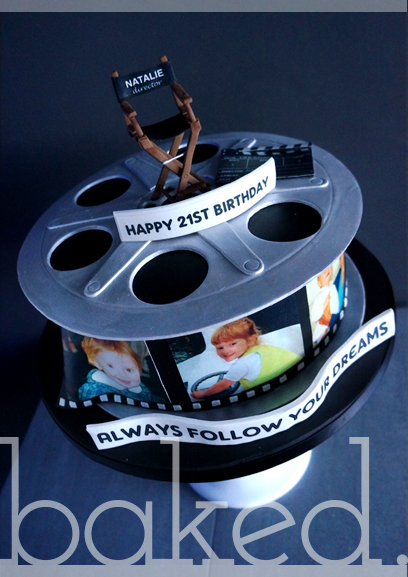 We love coming up with new designs and taking on challenges, so get in touch to discus your dream cake! 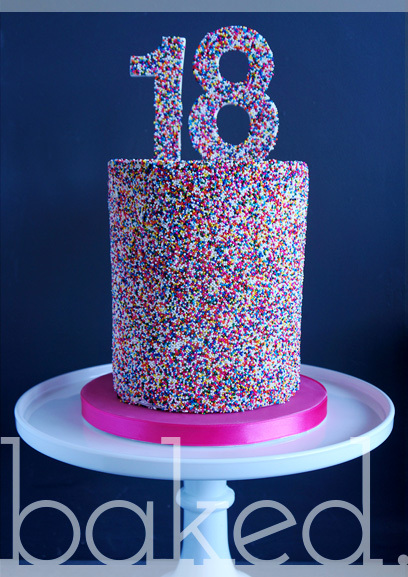 Chocolate sponge with cookies and cream frosting. 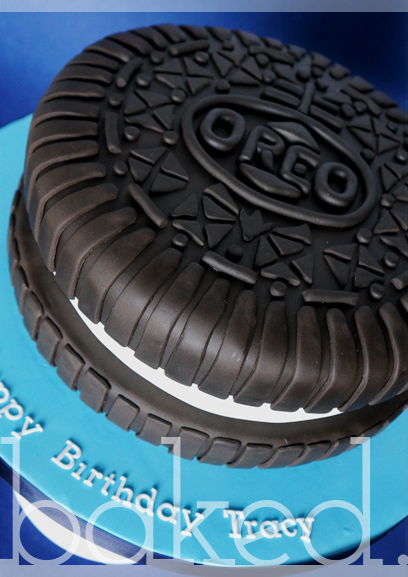 Perfect for those Oreo obsessives! 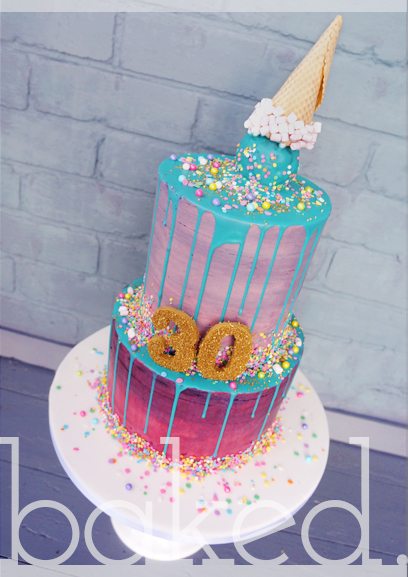 Show stopping cake with melted 'ice-cream' on top and chocoalte drips... delicious! 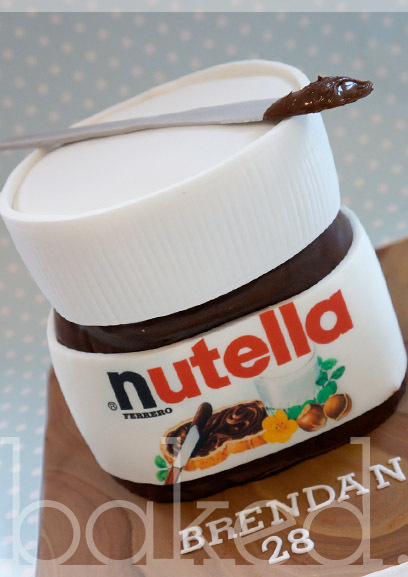 Nutella nuts will love this cake. 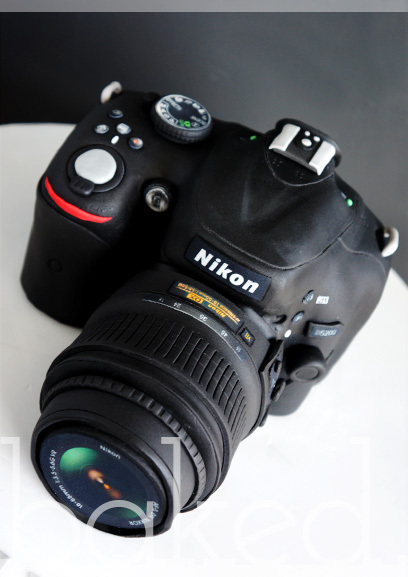 Chocolate sponge with nutella frosting. 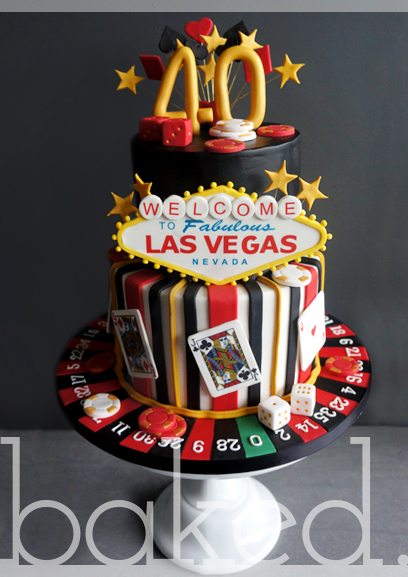 Cake complete with edible knife! 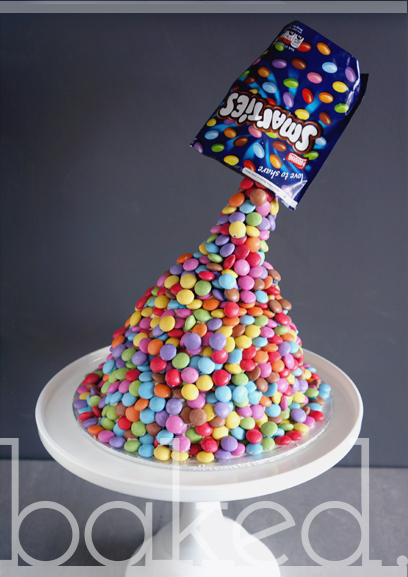 If you love Smarties you'll love this! 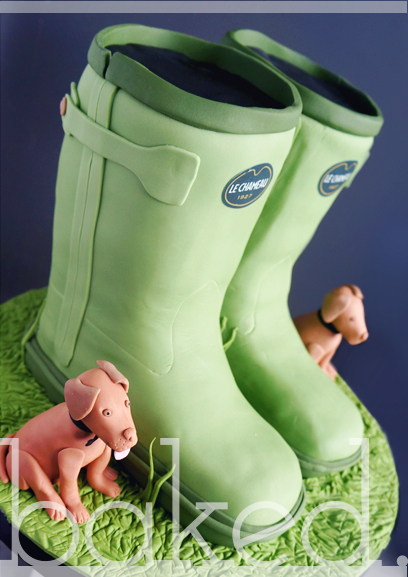 Can be done with your favourtie sweets. 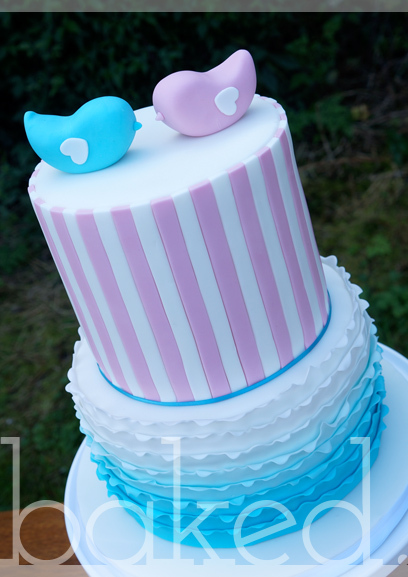 Love, love, love this cake. 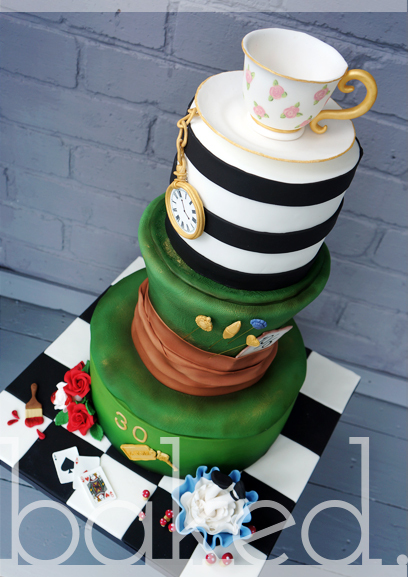 A three tier Alice in Wonderland cake, perfect for fans of all ages! 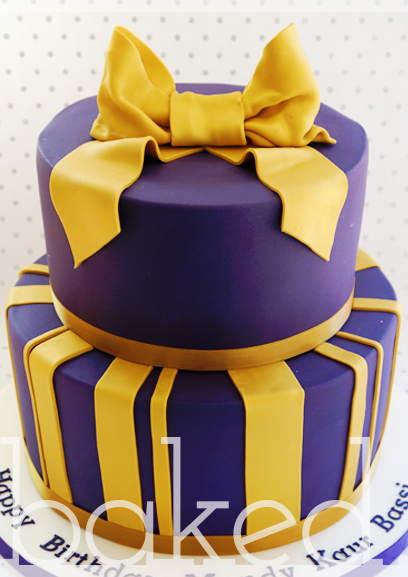 Gorgeous two tier - 8" base with double height 6" top. 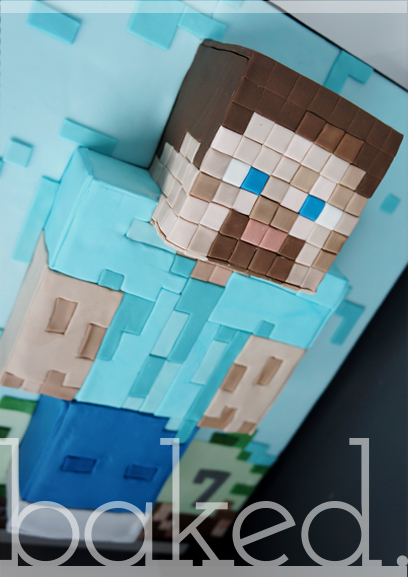 All colours can be changed. 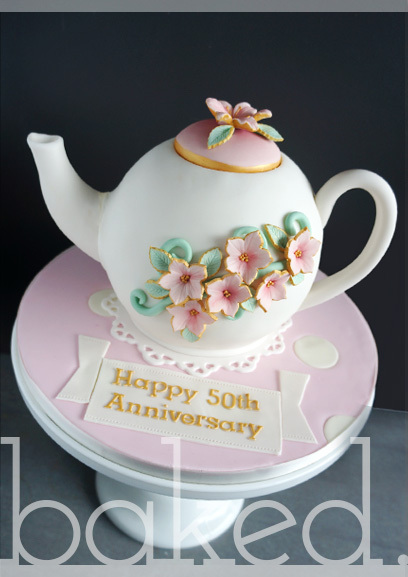 Everyone loves tea and cake! 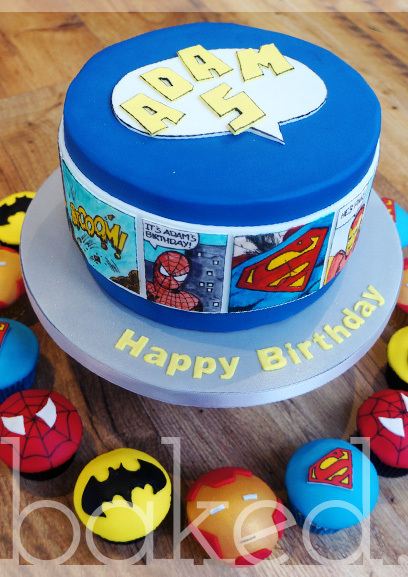 This 8" cake has hand painted edible comic scenes around the sides. 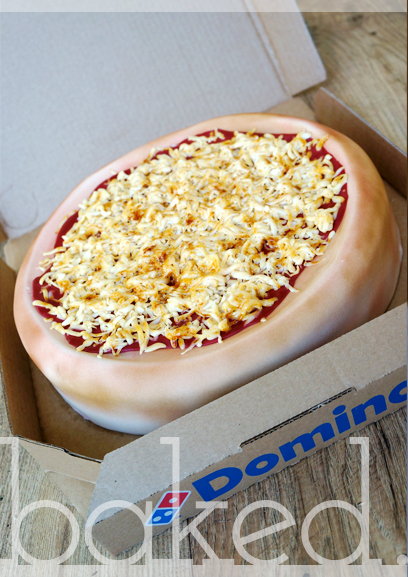 It is surrounded by themed cupcakes to match. 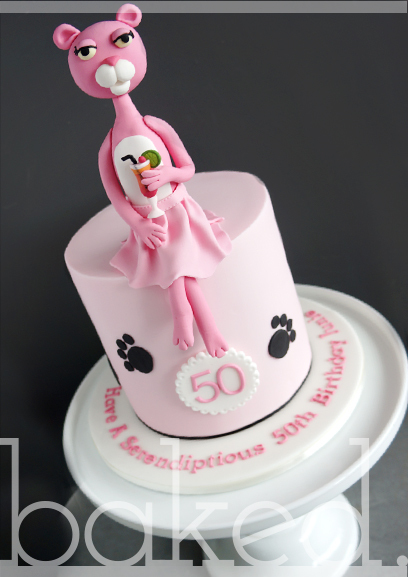 An 8" birthday cake with Shaun the sheep characters. 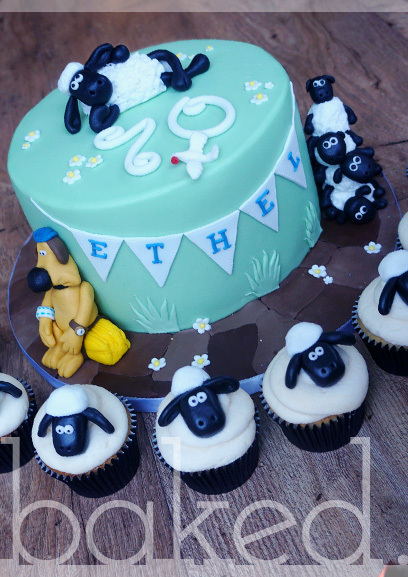 It is then surrounded with Shaun the Sheep cupcakes! 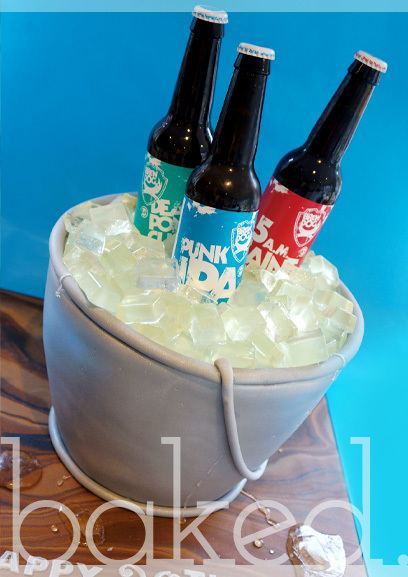 This cake comes with edible ice cubes and space for your beers! 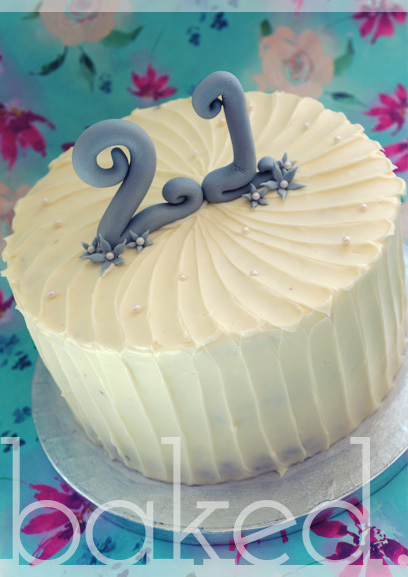 Delicious Red Velvet 8" Birthday cake with cream cheese buttercream frosting. 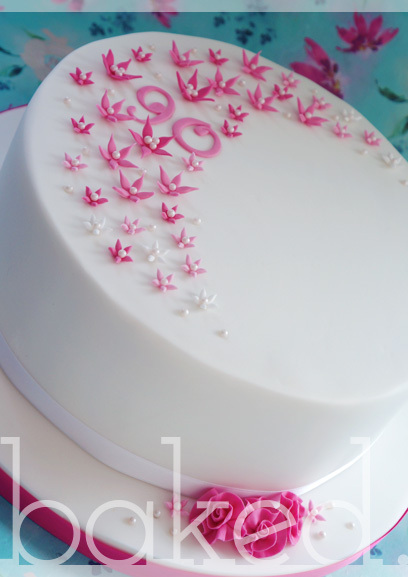 Simple and clean flower design covers this 10" 90th Birthday Cake. 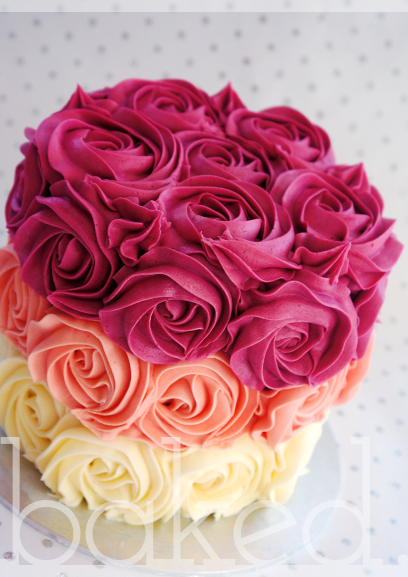 Beautiful buttercream rose covered cake in three colours. 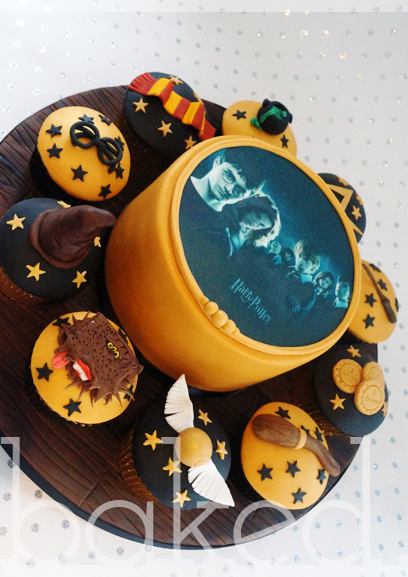 6" Centre Cake surrounded by 10 Harry Potter themed cupakes. 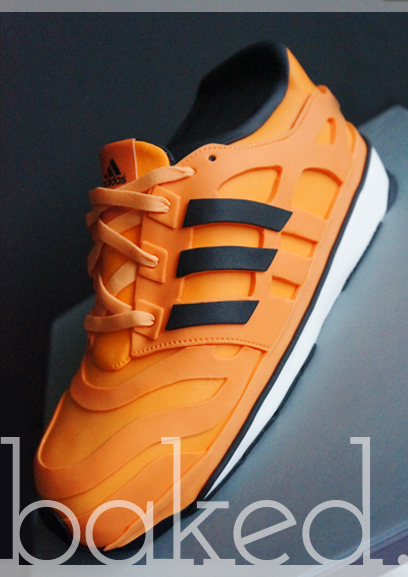 Other themed available. 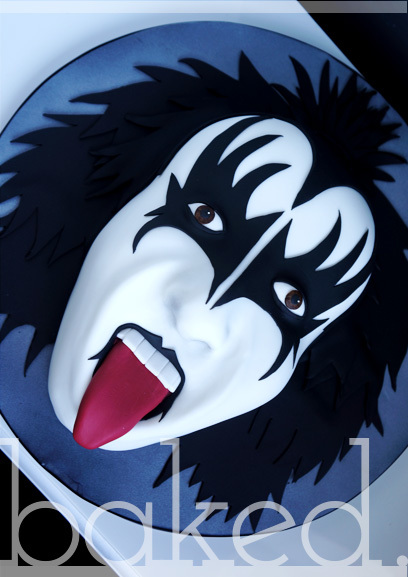 Gene Simmons head cake for a super Kiss fan. 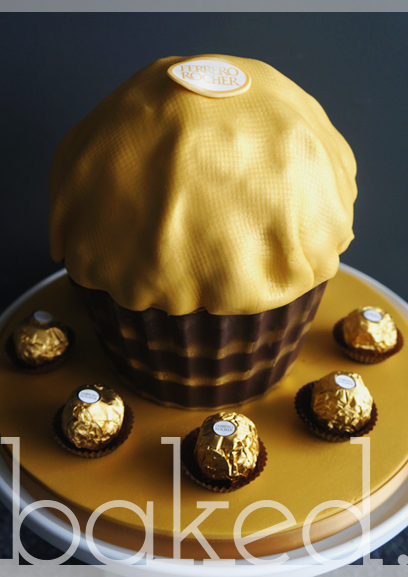 Chcocolate case with chococlate sponge and Ferrero Rocher frosting. 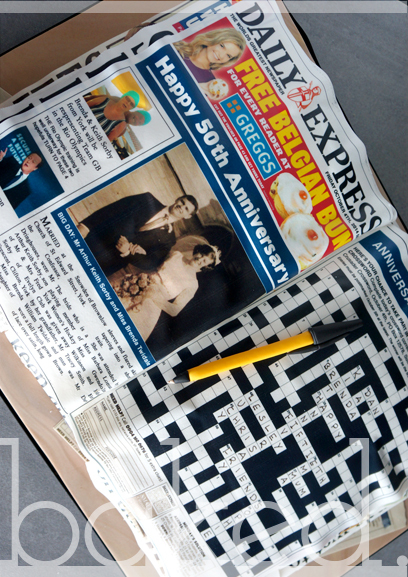 The couple loved the crossword in the daily express! 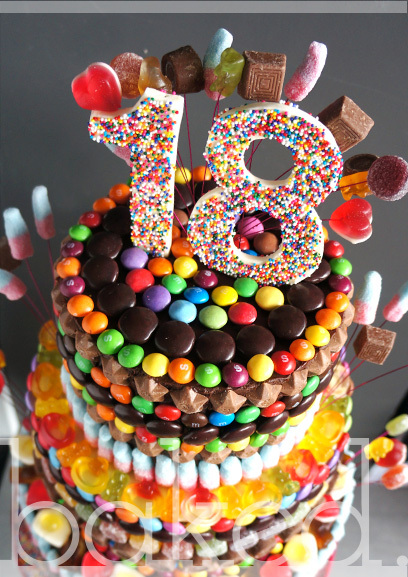 Three tier birthday cake covered in the birthday girls favourite sweets! 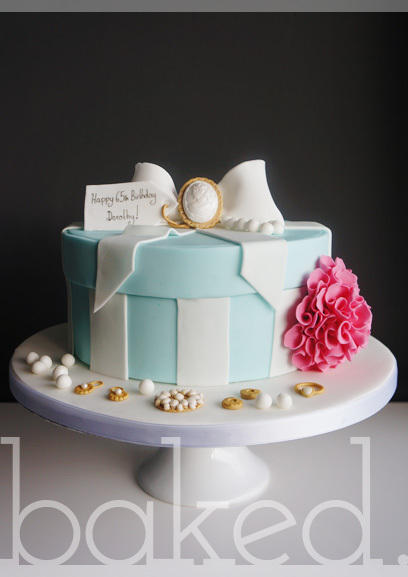 An 8" Mint Green Hatbox Cake with personalised edible tag and jewelry.